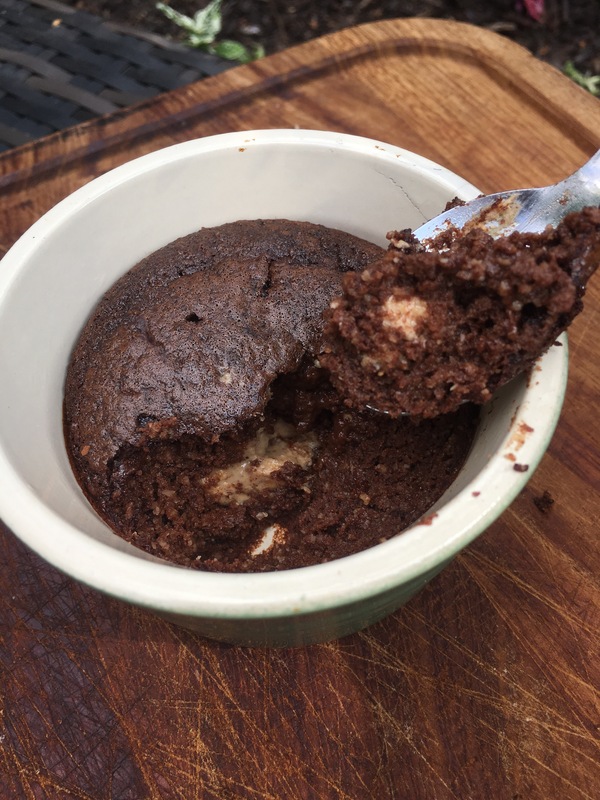 Sometimes you just need a bit of chocolate pud and this little beauty is quick and easy to whip up, tastes amazing and has a respectable 14g of protein to boot! Preheat oven to 160 degrees. 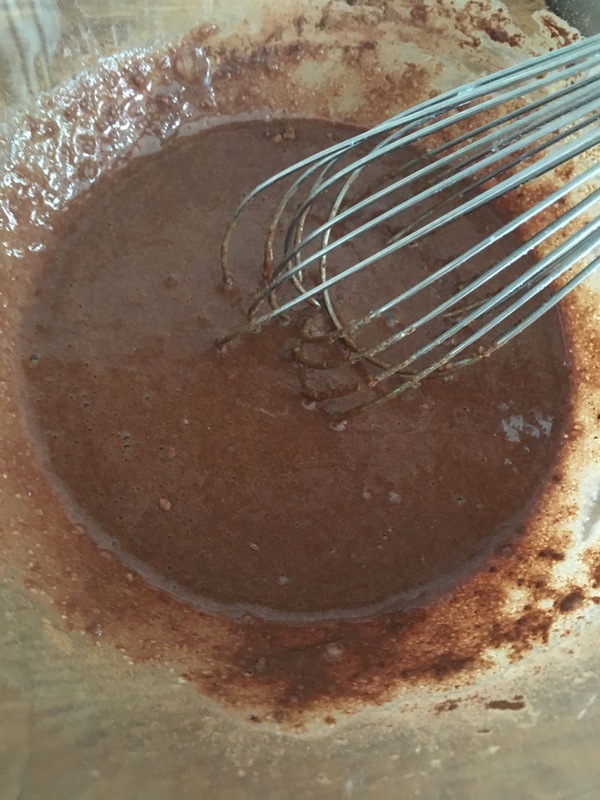 Put the almonds, cocoa powder and baking powder in a bowl and mix well. Add the two eggs, coconut syrup and vanilla extract and mix really well so there are no lumps. Grease four small ramekins with a little almond or olive oil and divide the mixture between them. Add a tbsp of your nut butter of choice in the middle and place in the oven for approx 15 – 20 mins. Start checking at 15 mins and remove when a skewer comes out clean. 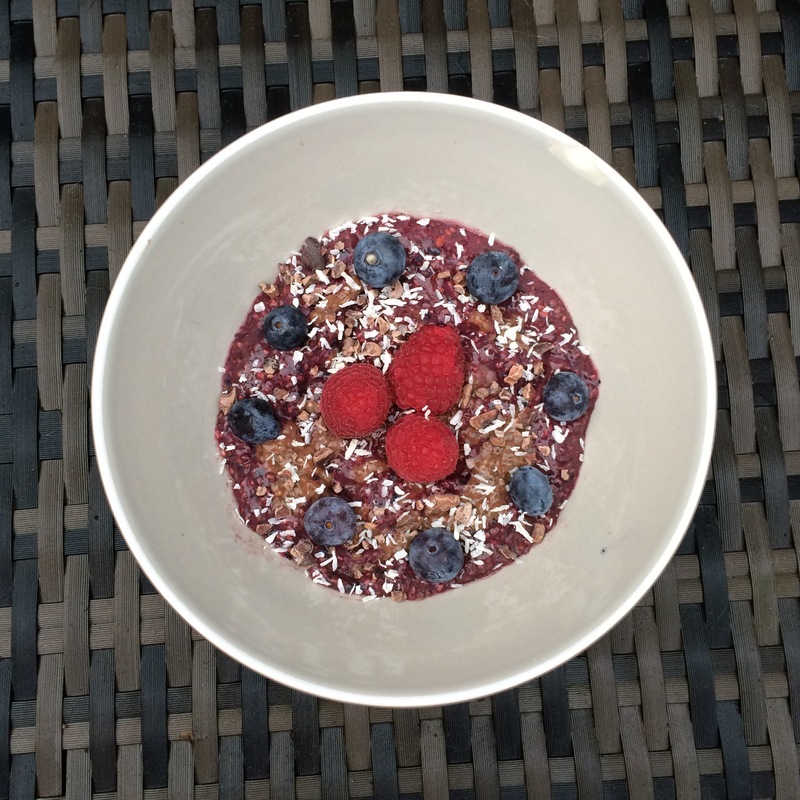 Take half the bananas and pop in to a high speed blender / vitamix with the blueberries and blitz until smooth. 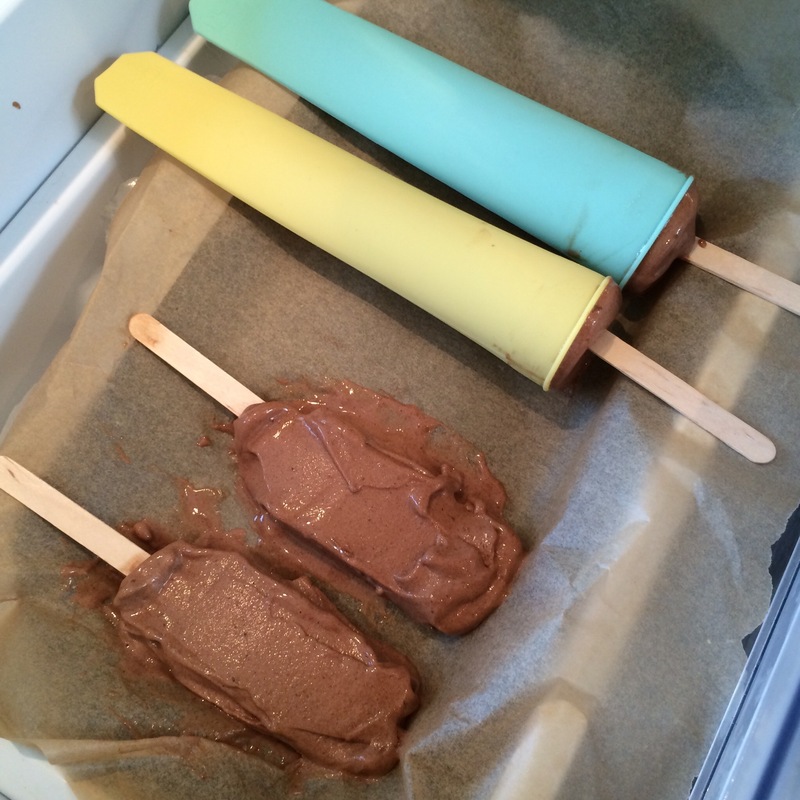 It will melt fast so pop in freezer once done while you make the peanut butter one. Take the other half of the bananas and 1 tbsp peanut butter and blitz. This will be thicker so you may need a small dash of milk. Once blended have a taste and add more peanut butter if you want. Blitz. If you want to keep it for later pop in the freezer – ideally in ice cube trays then pop out and re-blend briefly to eat (this breaks up the ice crystals that may have formed). 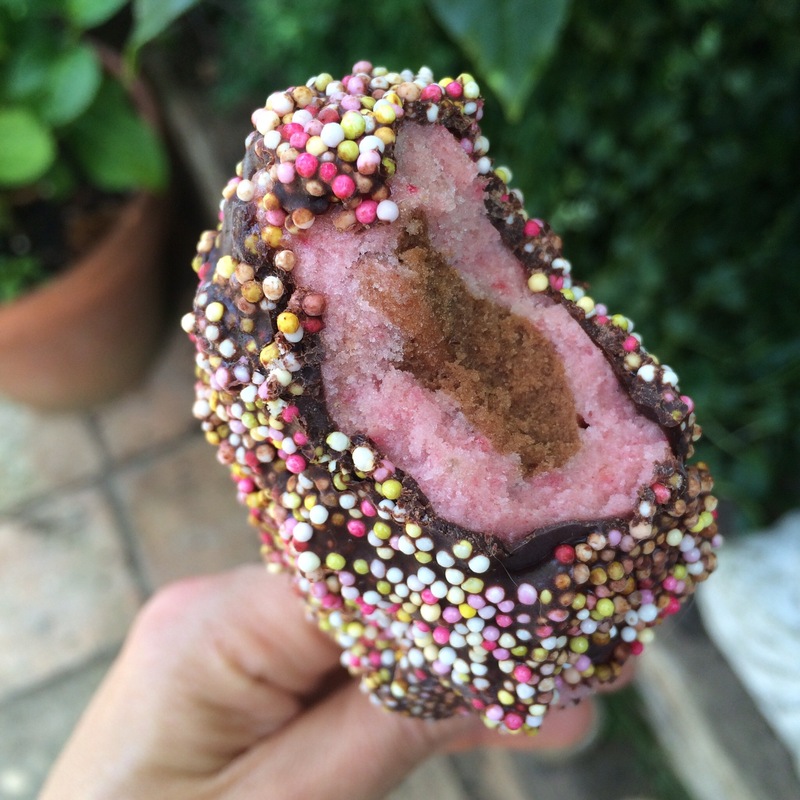 Homemade n’ice cream ‘Nobbly Bobbly’ – easy, healthy but super tasty! I confess, I have a problem. I am addicted to Nobbly Bobblys. So to save myself from myself I’ve created my own version. These are divine! 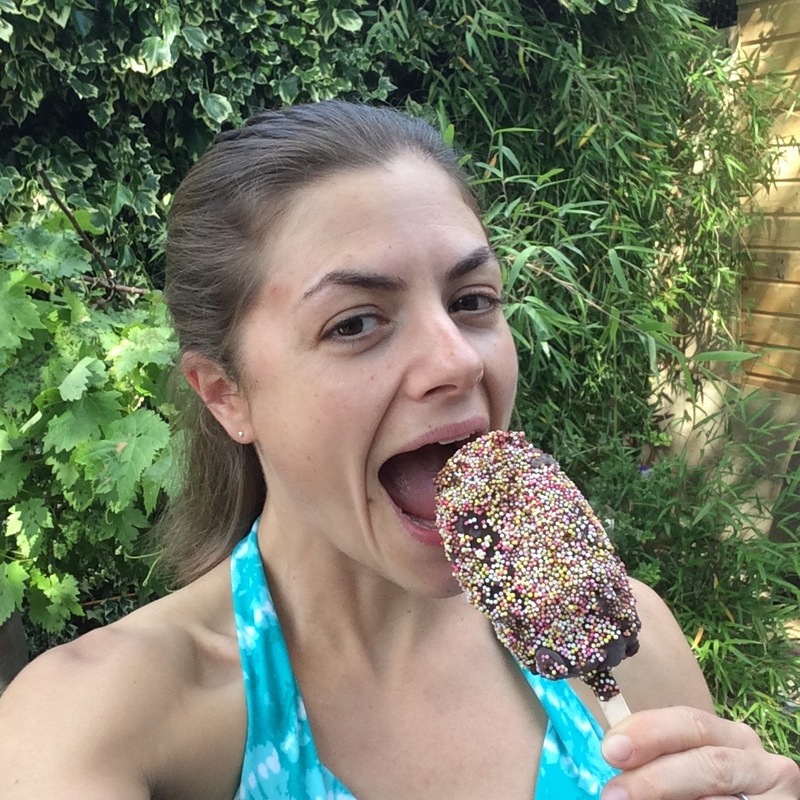 For me they hit that Nobbly Bobbly spot but with way less guilt! 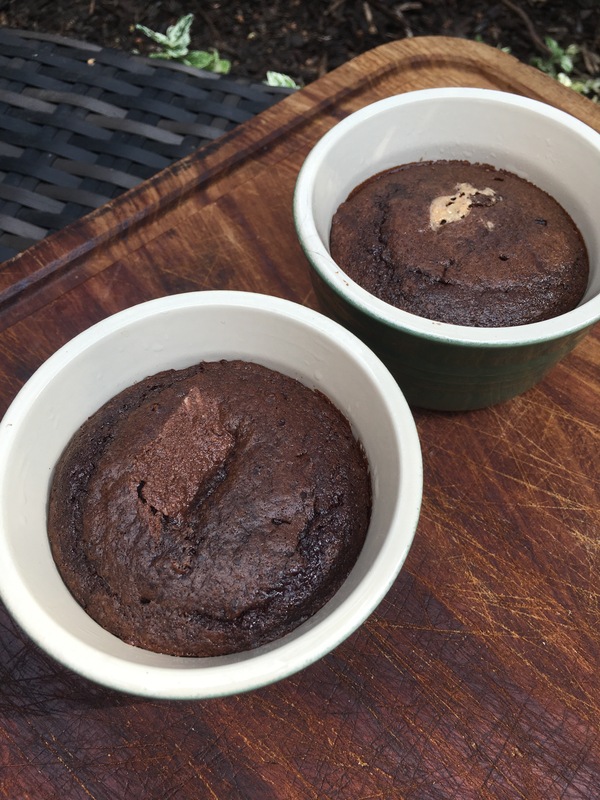 They’re dairy, gluten and sugar free (if you want them to be – with the exception of those little sugar balls on the outside which if you didn’t want to use you could substitute with desiccated coconut or chopped nuts or something instead :)). I didn’t use any sweetener in the chocolate coating as I find the sugar balls and natural sweetness of the n’ice cream is enough for me but its personal preference so if you want it a little sweeter then I’ve added the details below. These are easy but take a little time. You are going to need quite a few frozen bananas and some lolly sticks. I got mine from Amazon but places like Lakeland or other baking stores will have them, and you may also find them in craft stores. If you have a lolly mould you can use this for the first layer too (I tried using a mould and moulding them without – both worked). This amount made me 4 pretty large Nobbly Bobblys and I had some n’ice cream and chocolate to spare for a quick pud afterwards but it will depend how big you make them. 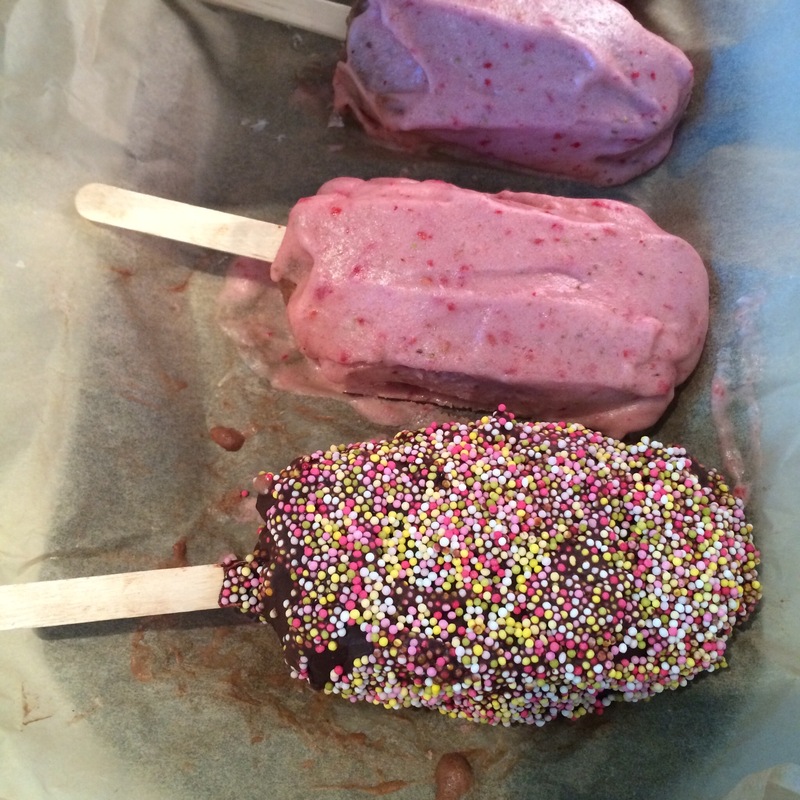 First clear some space in your freezer and find a suitable tray to lay the ice creams on. 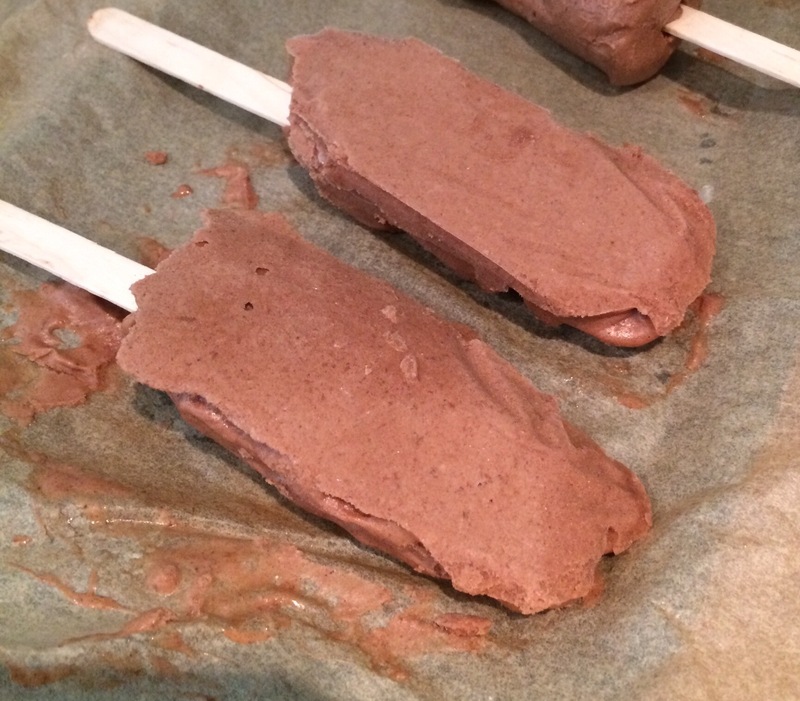 Cover it in baking paper and have your ice cream sticks handy. Start with the chocolate layer. 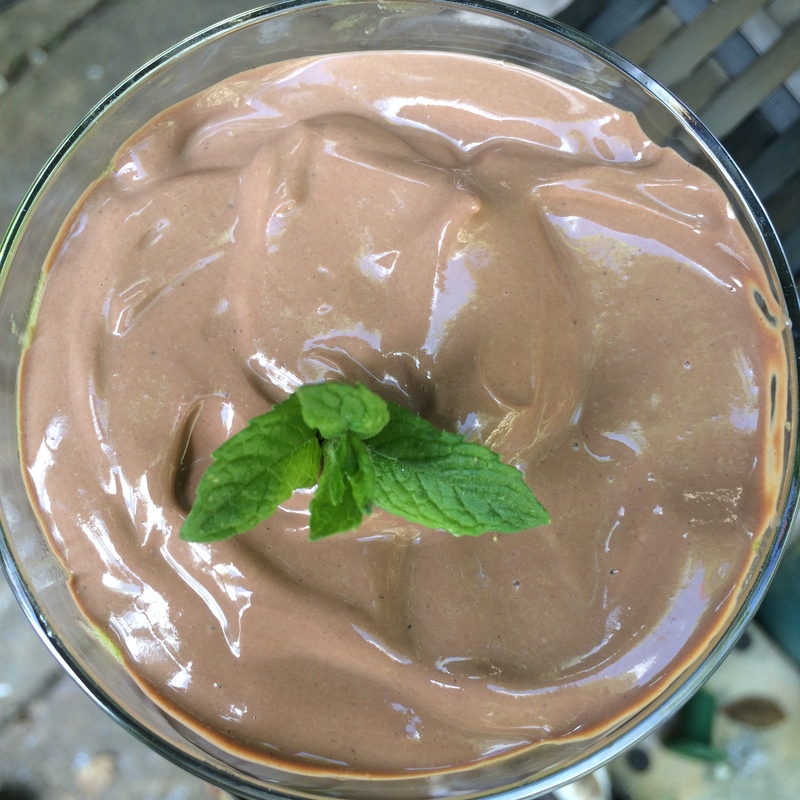 Pop the bananas and cocoa into a high speed blender (I use my vitamix) and blitz until you get a smooth consistency – you will need to do it in bursts and keep stirring in between. Remove from the blender and then as quickly as you can mould your first layer around the lolly sticks (Or in the mould if you’re using one). Place on the tray and in to the freezer. Leave for at least an hour. If they’re s bit messy don’t worry you can tidy them up with a knife before the next layer goes on. Next make the strawberry layer. 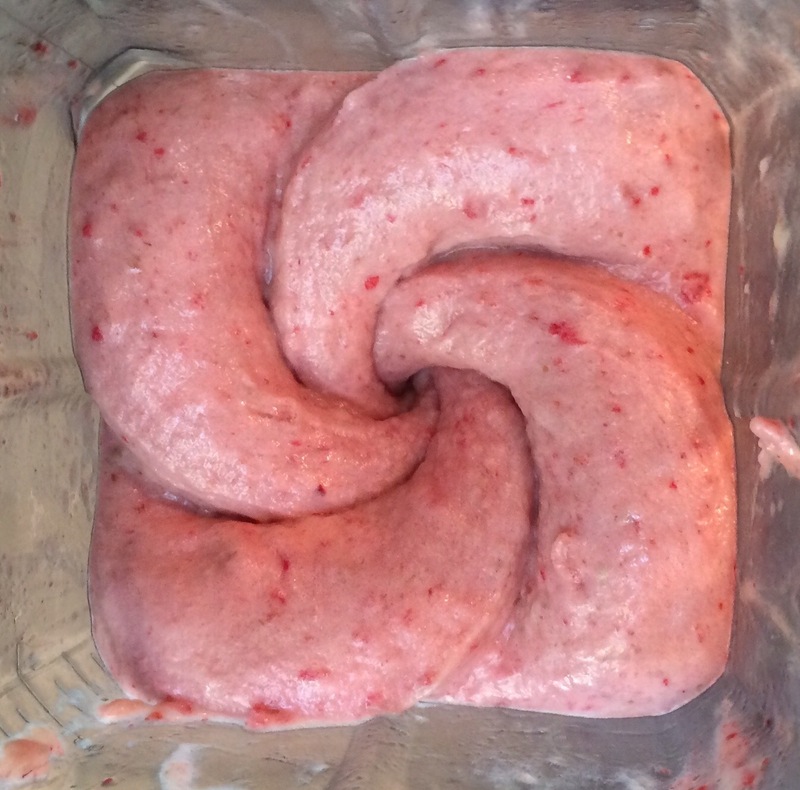 Pop the bananas, strawberries and raspberries into the blender. Blitz until smooth. You will need to work quickly now. 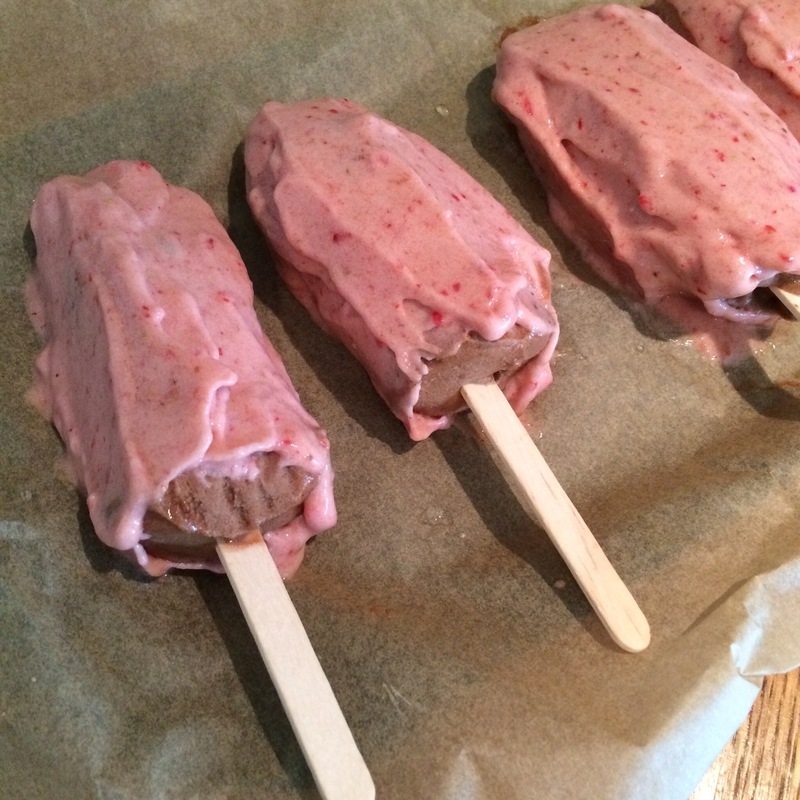 Remove the frozen chocolate layer from the freezer (tidy them up if you want to) and using a spatula add a layer of the strawberry n’ice cream all over and then pop back on the tray and get them back in the freezer for another 40 mins or more. Take your lolly and spoon the chocolate over one side and immediately press in it the sugar balls (or pour them over the top). 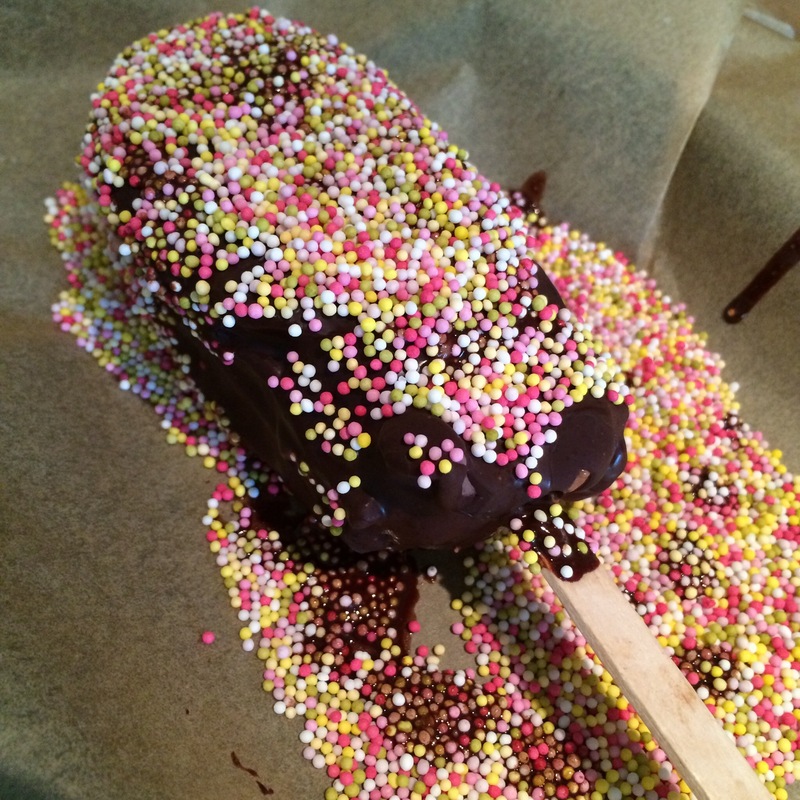 Repeat over the whole lolly then get it straight back in the freezer on the tray asap. 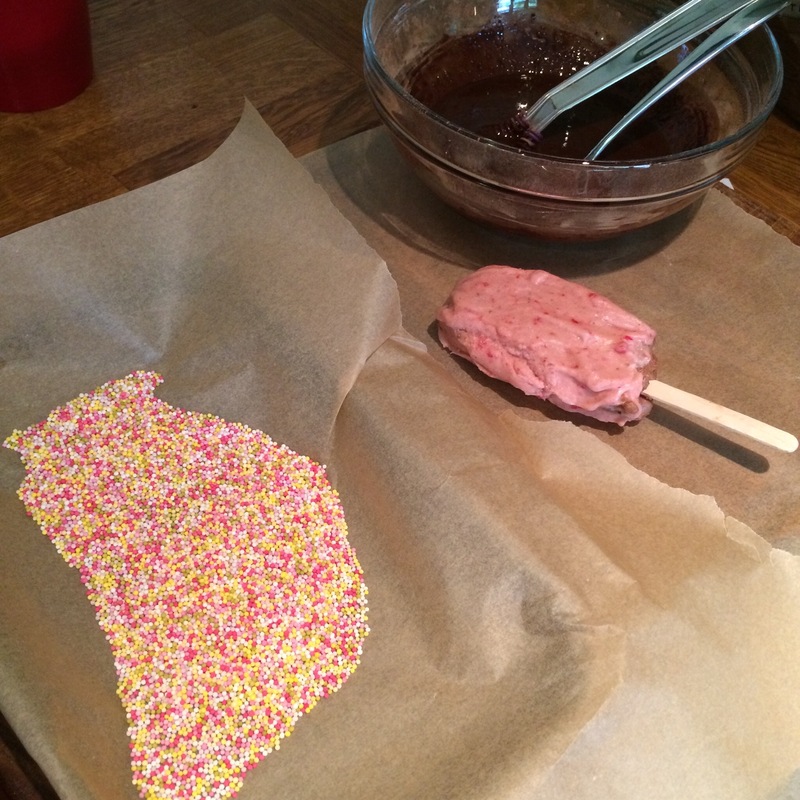 Do this for all your lollies. Allow to freeze initially for at least 20 – 30 mins on the tray and then you can transfer them to a Tupperware box to keep them in the freezer until you want to eat them! Then enjoy! Does anyone else remember those mint chocolate swirled mousse/ice cream dessert things we used to have as children? They came in a little pot, they were mostly sugar and air but they tasted amazing! I’m such a massive mint choc fan and was feeling a little nostalgic so thought I’d see if I could recreate something similar but a little more classy. This would make a great dinner party pud – it looks fab and tastes amazing. 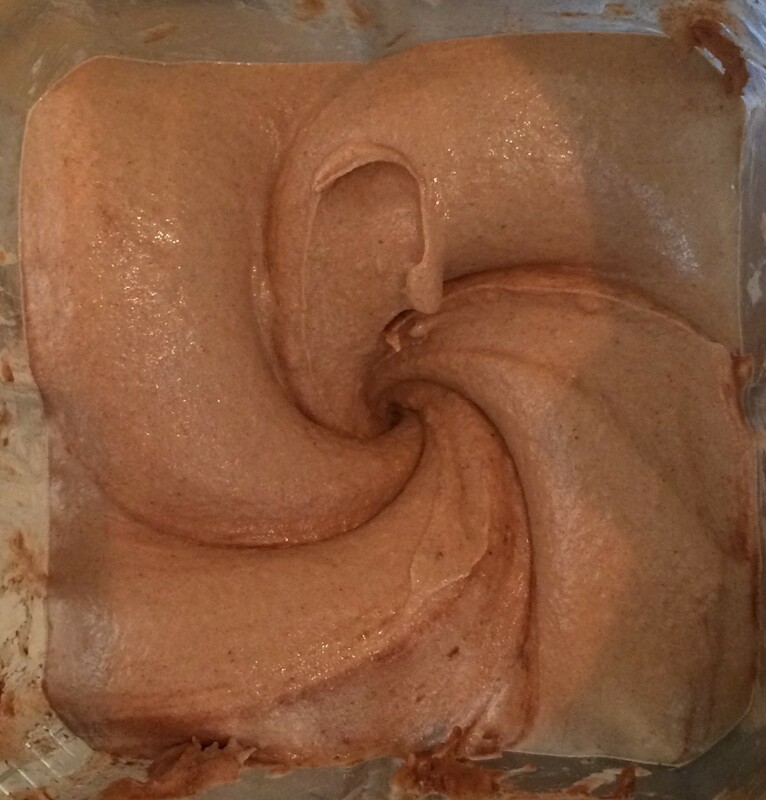 You can prepare the mousse and the n’ice cream in advance and then put it together in a few mins. 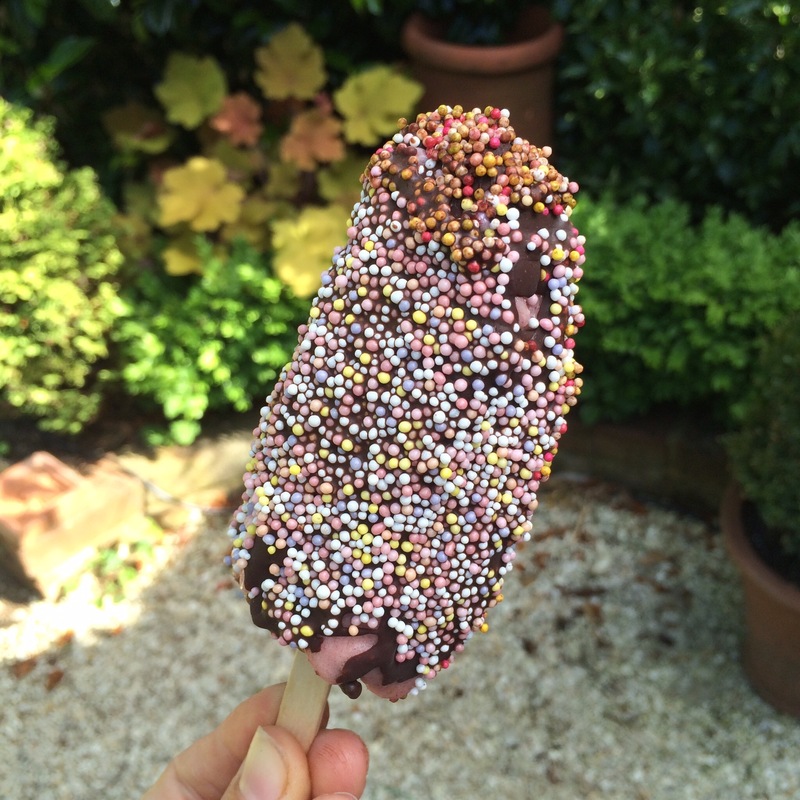 It’s also a great healthy, high protein treat for you or the kids on summer evenings. This also gave me a chance to use the yummy choc shot I was sent my the lovely people over at sweet freedom for something other than pouring liberally over my porridge and soya yoghurt 🙂 The mousse recipe is based on Colette’s recipe from The Pure Form Fitness Kitchen and the n’ice cream is my recipe from the other day (here) which I’ll re-post below for ease. This will make approx 2 large layered desserts. 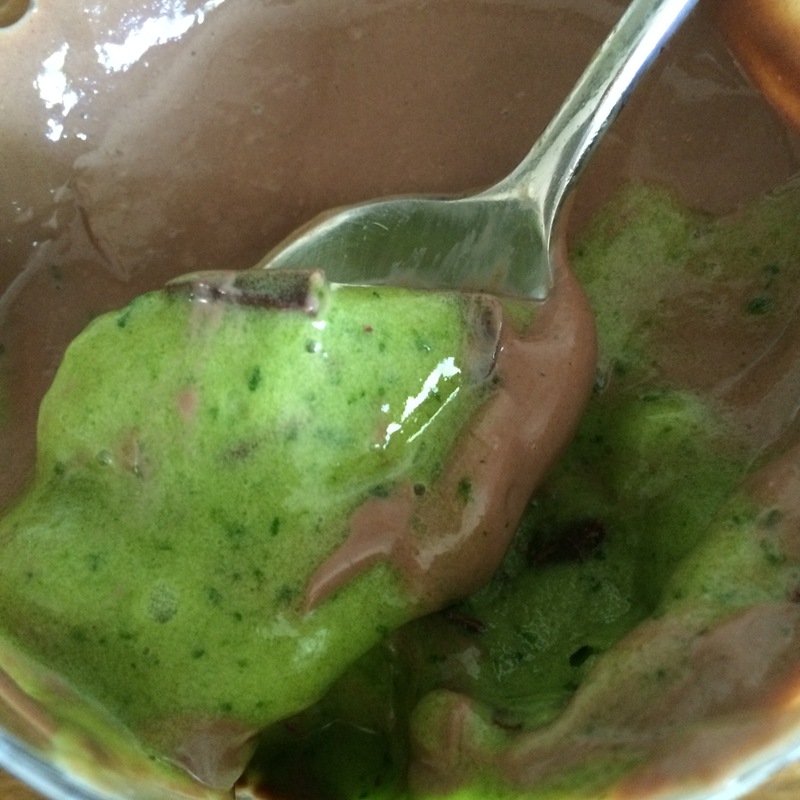 Pop all the ingredients except the peppermint extract in to your blender/processor and mix well until combined. 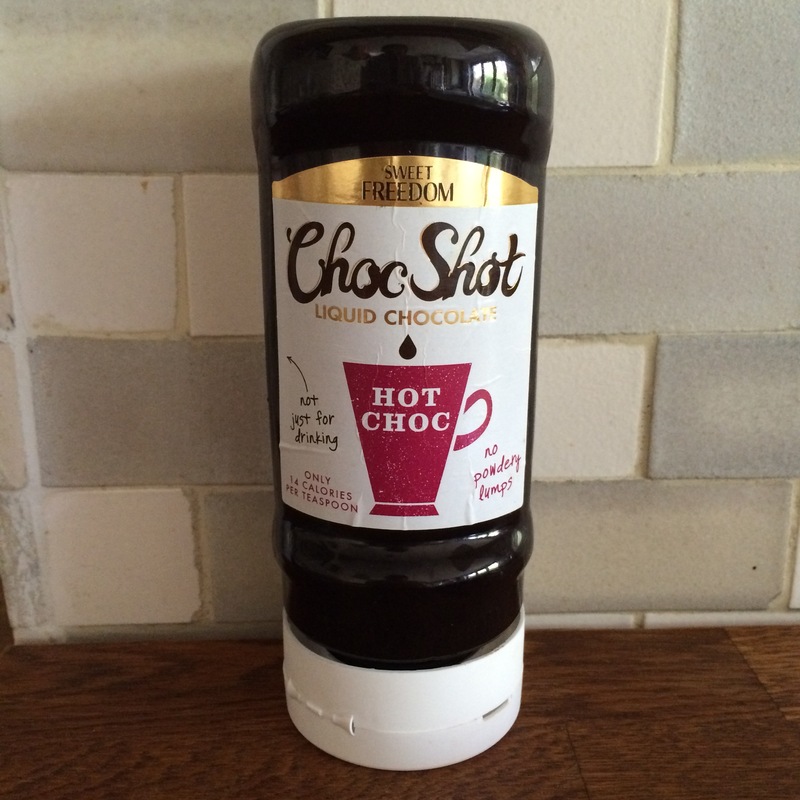 Have a little taste and add a little more choc shot if you feel you need it. Then add the peppermint extract to taste and mix. 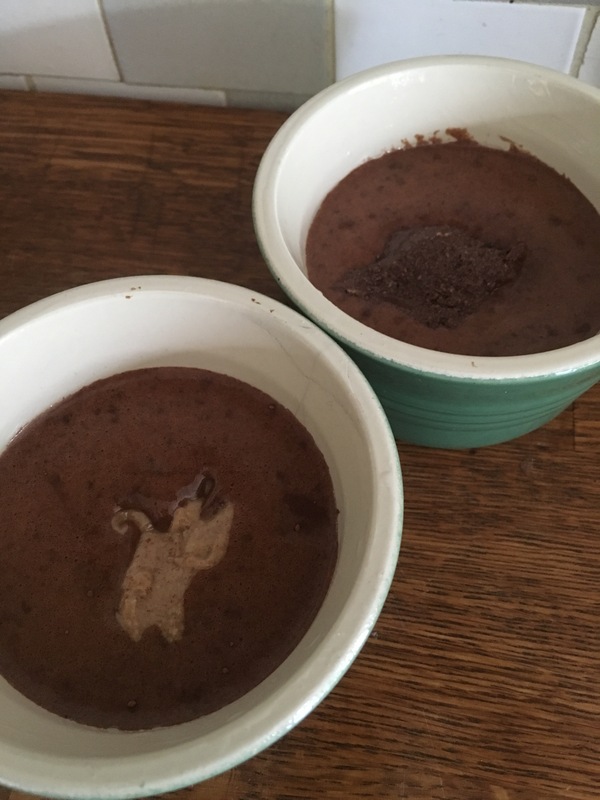 Store the mousse in the fridge until you’re ready to prepare the dessert (it will last up to a week – it may separate a little but just stir it before you use it). Pop the bananas in to a high speed blender – I use my trusty vitamix but any blender that can handle ice will do, and blitz it to start to break up the bananas. Once they start to smoosh up (technical term 😉 ) add the spinach a little at a time. Then add a few drops of peppermint extract – the amount will depend on how minty you like it! You don’t want it tasting like mouthwash though so go easy to start with! Keep blitzing it and stirring it in until the spinach is combined and the colour you want. 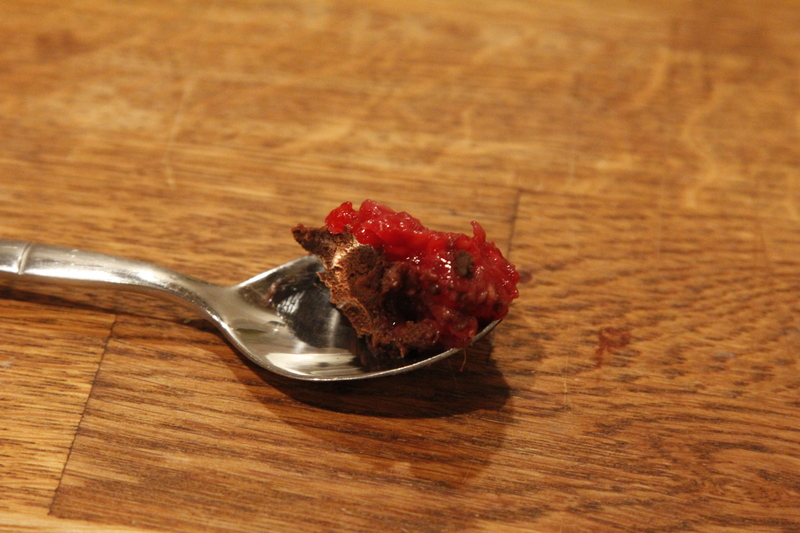 Remove from the blender and stir the cacao nibs/chopped chocolate through it. It melts fast so if you’re making it just before you serve it then that’s fab, but if not then you can refreeze it – ideally refreeze in ice cube trays (or small portions) and then when are ready to put the dessert together pop the cubes in to the blender and give it a very quick blitz! 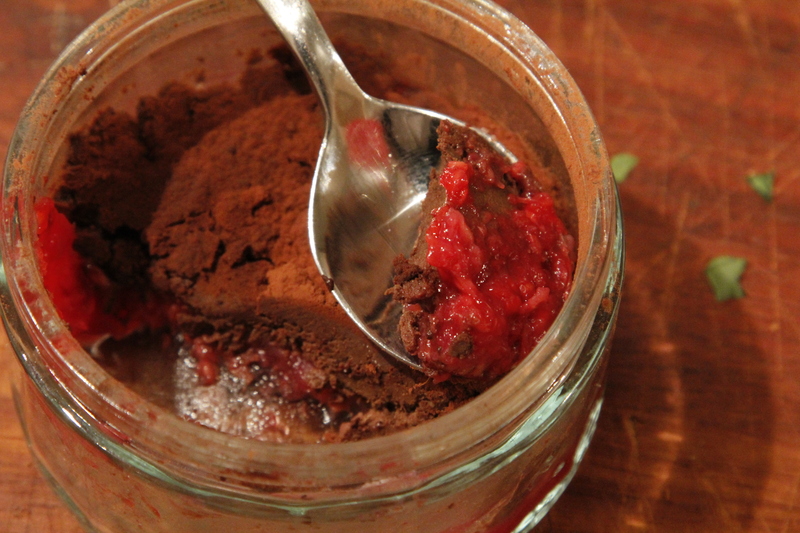 Add a layer of mousse, then a layer of n’ice cream and top with another layer of mousse in a glass, sundae dish or bowl. 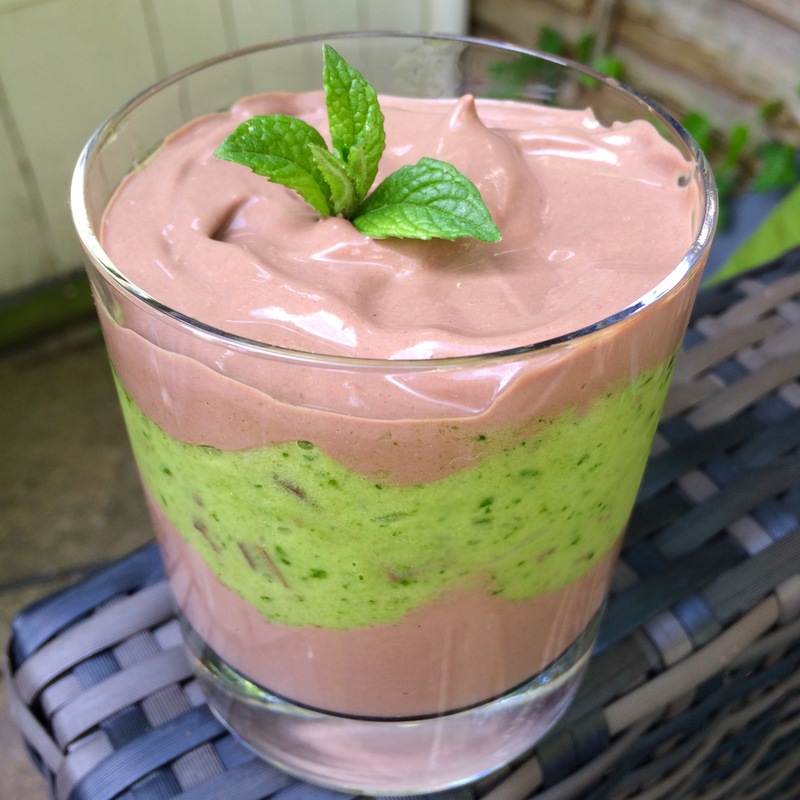 Top with a sprig of fresh mint and enjoy! I thought I’d treat myself with this gorgeous bowl of love! 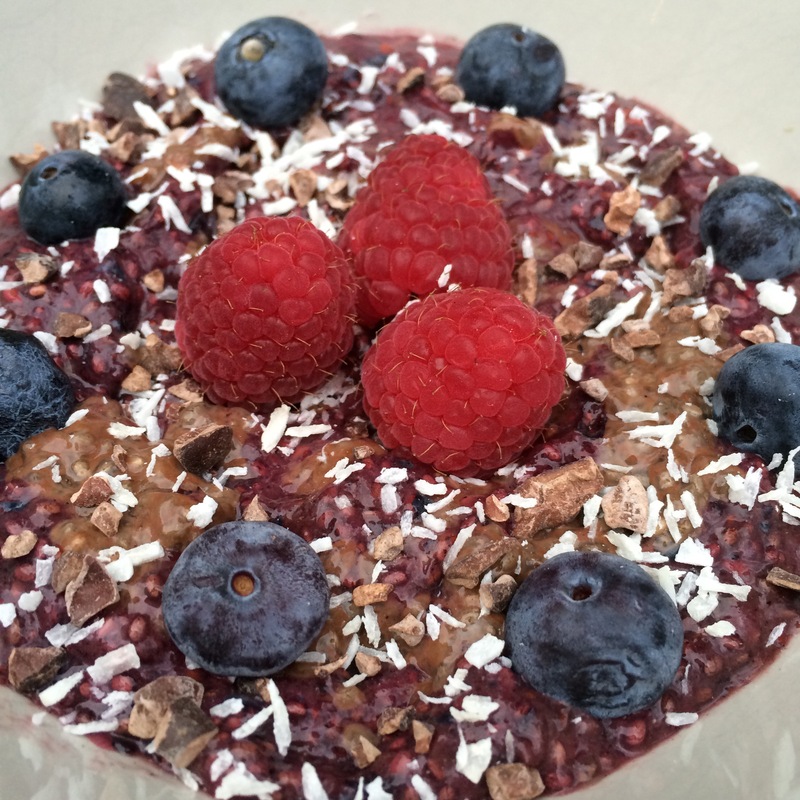 Mixed berry chia pudding swirled with chocolate coconut pudding, topped with cacao nibs, desiccated coconut and berries. For both puddings mix the dry ingredients together well then add the wet ingredients. Mix really well and then allow to sit in the fridge for at least an hour before checking. 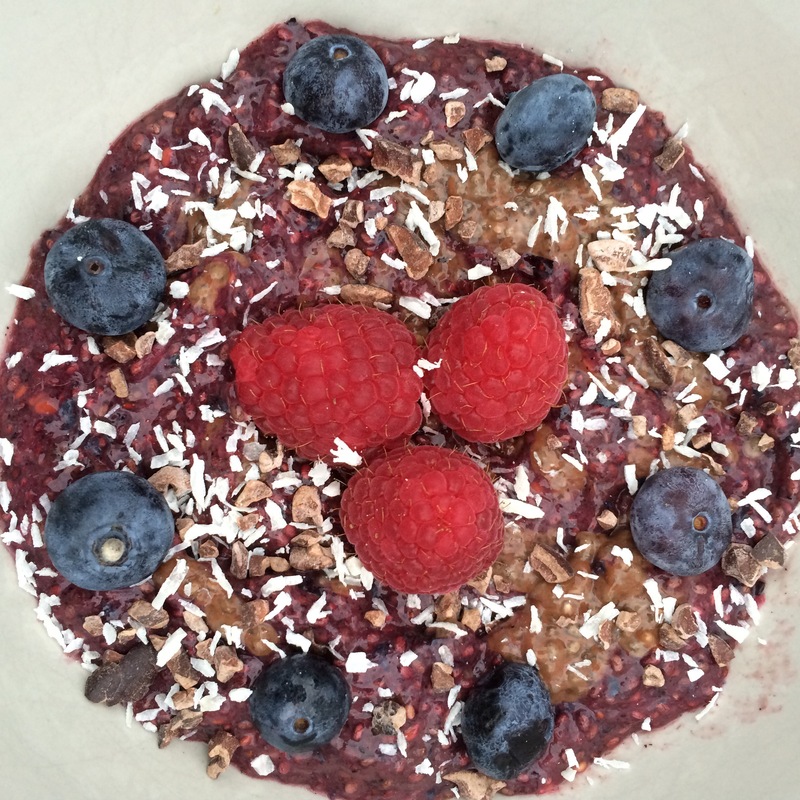 Adjust the amount of liquid to suit – add more if it’s too thick or if too think you can add some more chia seeds. Let it sit for at least another hour. Put all the ingredients in to a small pan. Stir well until the flour is dissolved whilst heating gently. Bring to a boil and then reduce the heat and allow it the mixture to thicken (probably about 5 minutes). 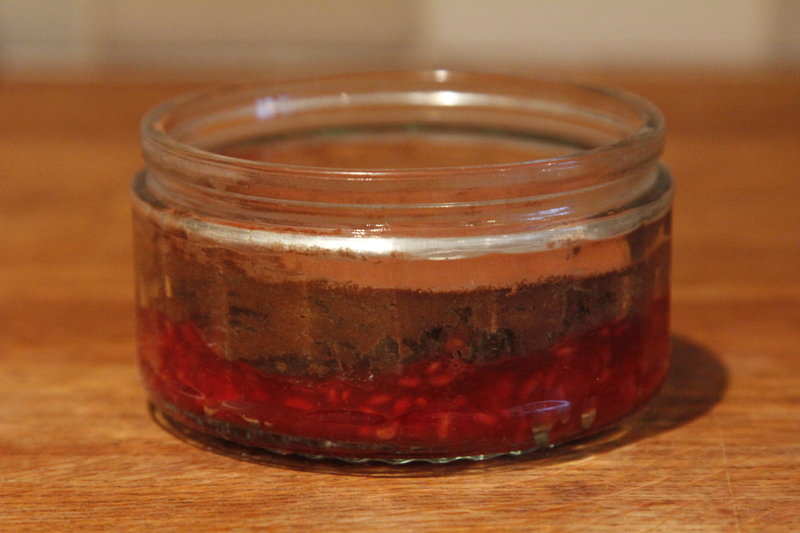 Remove and pour straight in to ramekins and set to one side. Now on to the chocolate pud bit!